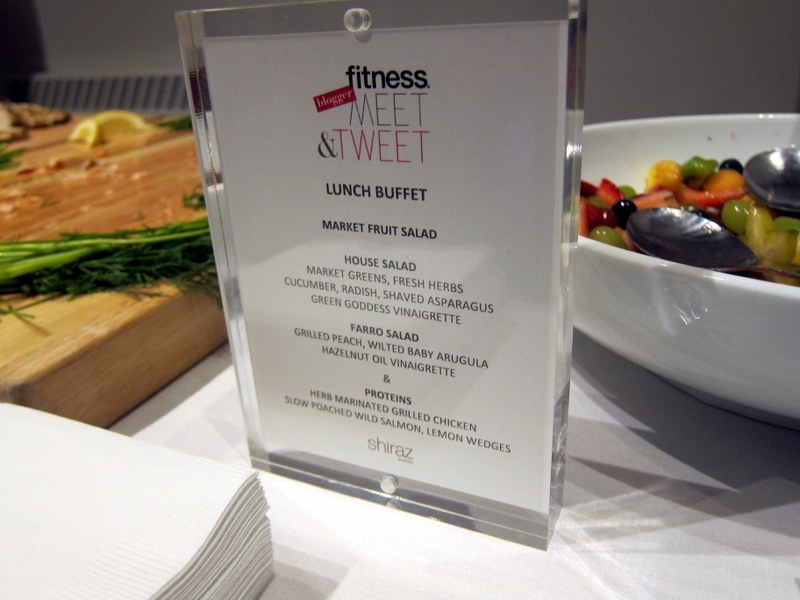 Yesterday I had the pleasure of attending Fitness Magazine’s Meet & Tweet event in New York City. 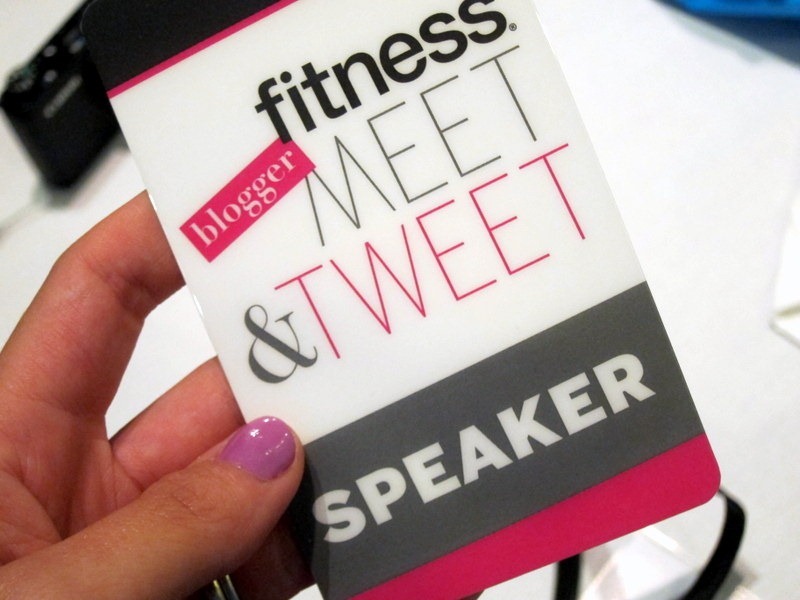 I was able to attend the event thanks to FitFluential and was very excited to meet some of my favorite bloggers, see old blogging friends, meet the people who work for Fitness magazine and chat with sponsors of the event. The event began at 10 a.m. and I walked there from the hotel where I was staying with Theodora and Anne (pictured below), Tina and Courtney. I was so, so excited to see Courtney (above) again after many months apart. She’s one of my best blogging buddies and ended up staying with me in the hotel last night after an all-too-enthusiastic reunion in the hotel lobby that morning. Quality time, baby! From the moment I arrived, I felt like I didn’t stop chatting until the event ended. Everyone was so friendly and excited to be there. I loved meeting Heather and Caitlin for the first time! She was signing little soccer balls and I had her sign one for Ryan since he’s way more into soccer than I am and played throughout high school. 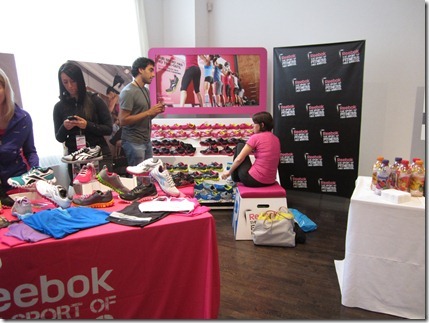 Attendees of the event were encouraged to walk around and visit all of the sponsor tables and fill out a card, earning stars for visiting each booth that you could then turn in for a swag bag full of goodies at the end of the event. Hello, Reebok! We shall meet again tomorrow! 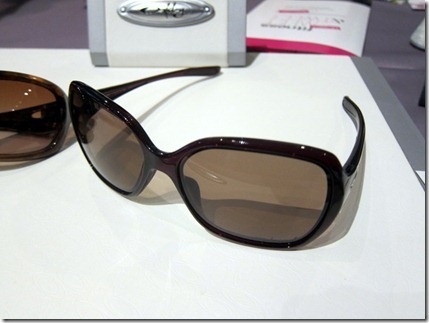 When I visited the Oakley booth, I was shocked to see sunglasses that were really cute! 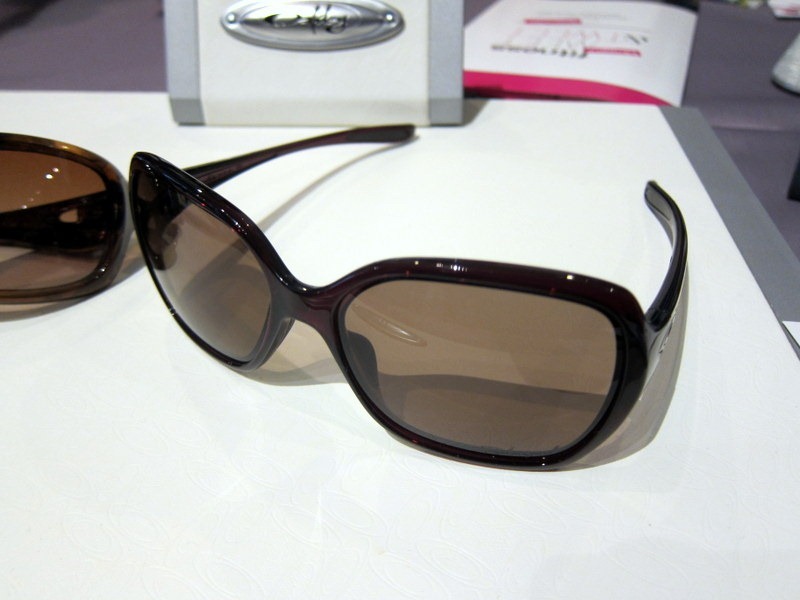 For some reason, in the past I associated Oakley sunglasses with those goggle-like running sunglasses that aren’t the cutest, so when I saw their new line of performance sunglasses that are great for running but also look cute, I was impressed! They had little grippy things on the nose to keep them in place when you start sweating and they fit snuggly without being too tight. I think everyone was stoked to be able to bring a pair home. The swag bag we got a the end of the event after visiting the sponsors was pretty amazing. It was filled with everything from a CamelBak water bottle to a pair of Reebok sneakers. Lots of great goodies! The event itself had a lineup of speakers who talked about a variety of topics ranging from why fad diets aren’t worth it, fitness, make-up and beauty tips and Q&A-style presentations. The first half of the event flew by and by the time lunch rolled around, I was ready to eat! 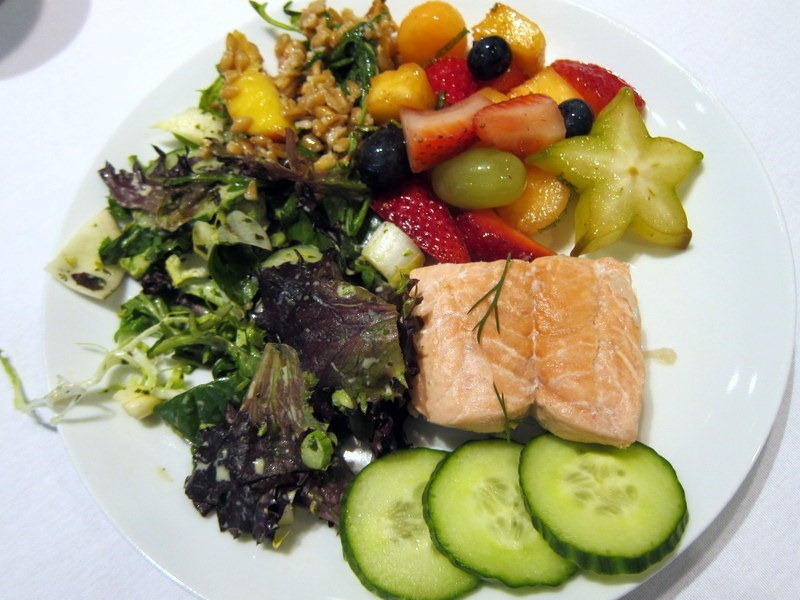 The food was fantastic and they did a great job of providing healthy options that were both flavorful and delicious. The farro salad was my favorite. 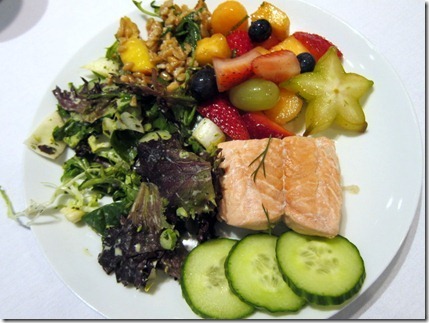 I loved the chewy texture and the savory flavor from the hazelnut oil. After lunch, my nerves started to kick in since I knew I would be speaking on a panel at 1:45 p.m. The panel itself was basically a question and answer session all about blogging, freelance writing and building a presence online. 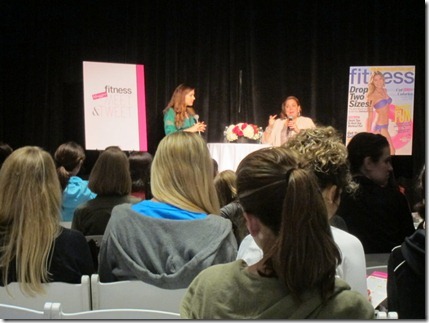 I was a panelist along with Kelly Olexa, Carla Binberg and Tina Haupert. I was worried no one from the audience would ask questions and we’d hear crickets, but people participated and our time on the stage passed by quickly and ended up being fun! I really enjoyed listening to the advice from my fellow panelists, so I hope the people in the audience enjoyed our time on stage! 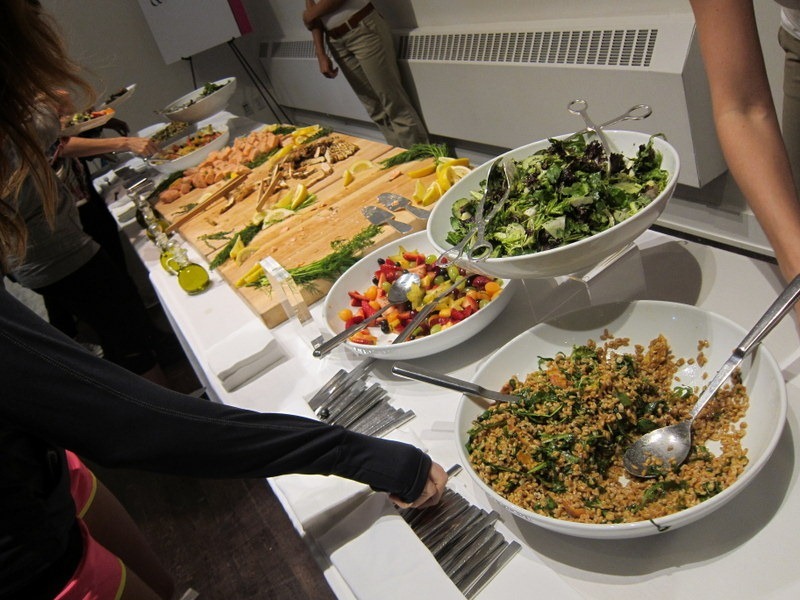 Once I could finally breathe again after our panel was over, it was snack time! I grabbed two little funnels of apple slices and brie cheese and later went back for two mini cranberry white chocolate oatmeal cookies. The apples and cheese were a perfect pick-me-up. 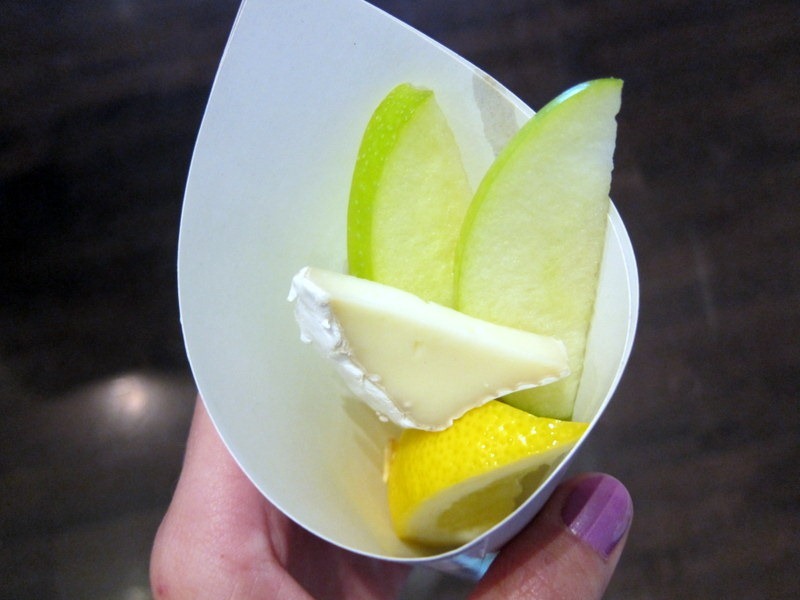 Brie cheese is one of my favorites and I need to keep this combination in mind for future afternoon snacks! 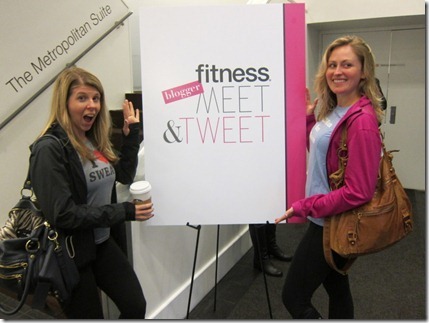 The Meet & Tweet event concluded with a workout coordinated by KiwiSweat which was crazy energetic and very, very fun! I didn’t realize a legitimate workout was part of the event even though we were all told to wear fitness apparel, but it felt good to move and sweat a bit at the end of the day. 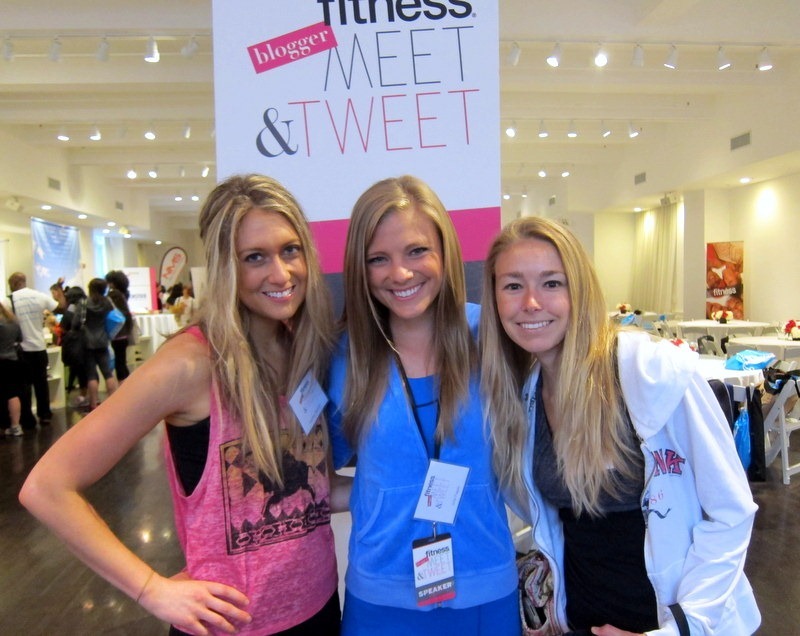 Thank you so much to Fitness Magazine and FitFluential for such a fun event! That event looks like a lot of fun – and what a cute swag bag! Thank you for coming out here to ‘meet and tweet’, and share your experience and knowledge during the panel! Your advice is invaluable to newbies like myself. Hope we get to meet again soon. 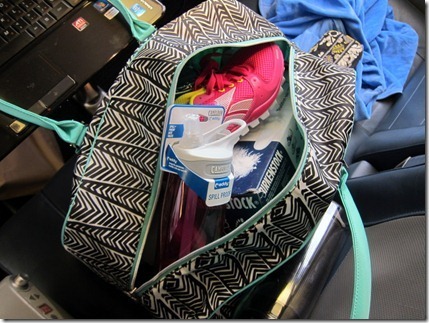 Enjoy Boston — can’t wait to hear about Reebok! Julie I’m so excited for you! Congrats on all your success! You are such an inspiration to work hard and live happy. the event looked really awesome! Oh man I am jealous! This looks like such a fun trip! My 10 year old travel soccer player’s name is BRYAN! 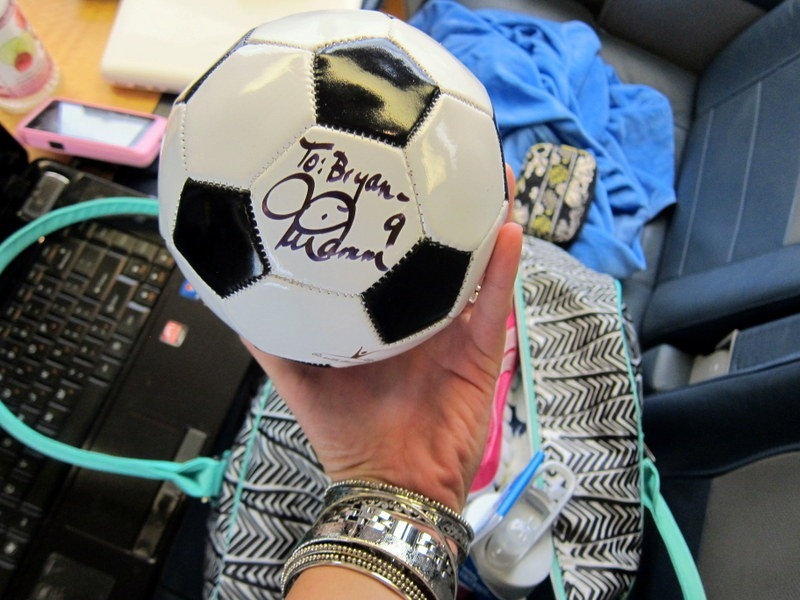 He would love love the ball…….Looks like a great trip….love your blog…read every day.